The Intel FM6000 Alta is the single chip silicon switch at the heart of the 7150S products. The FM6000 was announced in November 2010; chip and product delivery took 2 years. 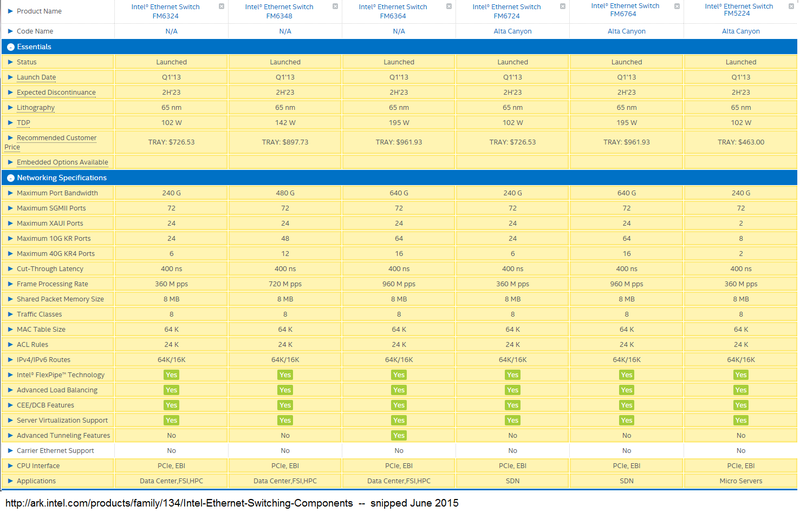 Of note, the Intel/Fulcrum switches have capability to monitor buffer utilization with millisecond granularity. Arista makes this visible with their LANZ utility. As is explained in Arista Warrior, among the merchant silicon switches, Intel is way ahead in providing this monitoring capability. LANZ can monitor the number of buffer blocks owned by a queue and spit out timestamp reports when the queue length is above a user specified threshold. The reports can fob off in many of the usual ways -- CLI logging to a local file, syslog, etc. The queue length can be polled at sub-millisecond rates, so pretty short bursts can be seen. LANZ is not available for Trident+ products, and Arista Warrior explains that ability to do this particular measurement is not built into the chip. 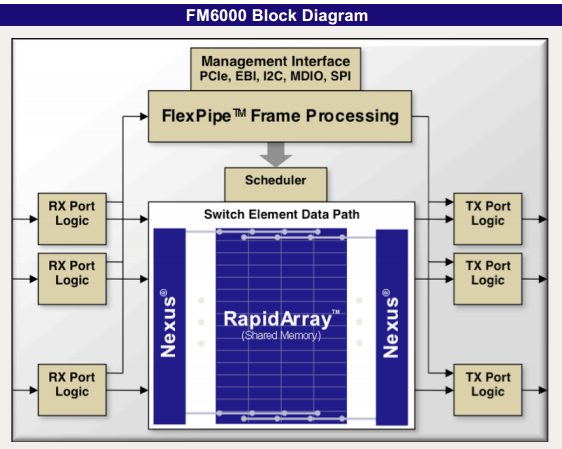 The FM6000 has a varient p/n specifically for openflow. A white paper exposes some additional details on the family architecture. Another white paper contrasts Intel's shared memory design with virtual output queuing. 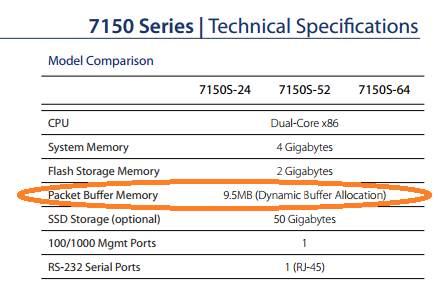 The three-year cost to power the Arista 7150S-24 1/10GbE is estimated at $546.74 and represents approximately 4.21% of its list price. So, if you wanted to know the retail price, you could probably figure it out.